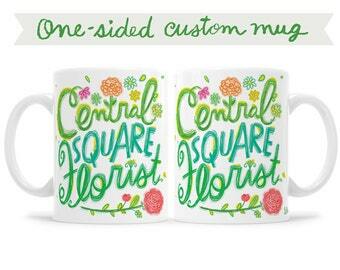 This is for a HAND-LETTERED, hand illustrated design for your mug. I do not use any pre-made fonts, or icons, or anything else. ---> Left side of mug might say: "Girls Trip, Lake Powell, 2016"
---> Right Side might say: "Jenna, Lucy, Claire, Michelle - BFF's FOREVER". This listing is for MUG DESIGN only. Actual mug purchase will be a SECOND transaction, after the mug design is complete. = $156 + cost of shipping. • Consultation on design direction (via Etsy Convo or email). •ONE initial sketch based on design direction decided on in the consultation. •ONE revision to the DELIVERED SKETCH •ONE revision to the FINAL DESIGN (if needed). •Additional changes will be charged an hourly rate of $50 per hour. • Orders of ten mugs or more will receive a 10% discount on cost of mugs. • Shipping cost is additional and will vary, depending on number of mugs being shipped, the timeline desired, and shipping service being used. Regardless, my customers are charged ACTUAL SHIPPING costs, no more. 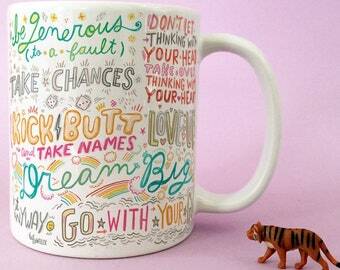 There's lots of mug designers on Etsy who charge very little to no extra money for customization. The reason they can charge so little is because they are simply typing in the text. It takes very little time & effort to do this. This is not my custom mug design method. 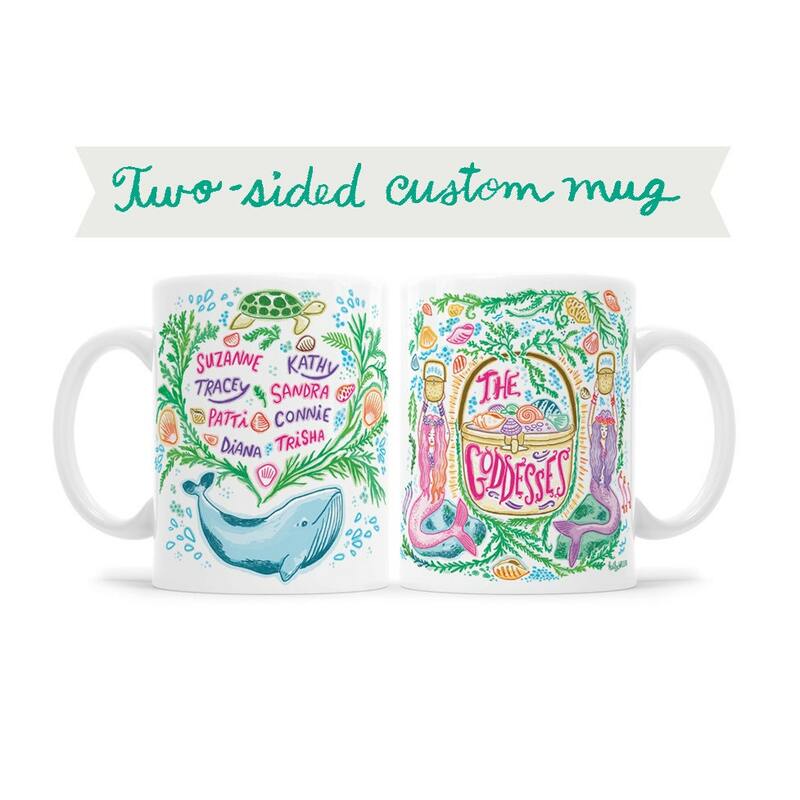 My mug designs are entirely hand drawn illustrations and I do the same for my custom mug customers. I never use fonts of any kind. Everything is hand done 100%. So I must charge accordingly. I do not ALTER existing mug designs. NO exceptions.